Perhaps you have been thinking of living in Puerto Vallarta, or maybe you’re just interested in visiting, regardless there are lots of wonderful attractions that draw thousands of tourists and expats to this great city. Deciding from the neighborhoods in Puerto Vallarta to visit can be difficult if you have never been. That’s why WeExpats has put together a helpful neighborhood guide to Puerto Vallarta. Known to locals solely as “El Centro”, downtown Puerto Vallarta has a lot to offer expats and tourists alike. From Rio Cuale in the south to Malecon in the north, El Centro has a rich culture intermingled with all the amenities of a modern, developed country, such as shops, supermarkets, cafes and restaurants, bars, hospitals, theaters, nightclubs, and art galleries. If you last visited the Malecon years ago, then you might not recognize this renovated area which has been closed to traffic. In place of cars, now planters with flowering bushes and palm trees festoon the picturesque oceanfront walk. From the new pier to Hotel Rosita, you can see Voladores de Papantla, street performers, sand sculptures and all the other attractions you would expect at any major beachy destination. During the high season, you can expect Art Walks put on by local galleries which offer free appetizers and libations to anyone interested in viewing—and hopefully purchasing—their work. Be warned that this is one of the most expensive areas in Puerto Vallarta. El Centro is among the oldest neighborhoods in Puerto Vallarta, though the nightlife tends to be a huge hit with the younger crowd. However, if you’re not into urban areas, then you might find El Centro in Puerto Vallarta to be overly crowded and noisy. The Zona Hotelera of Puerto Vallarta is the area with the most hotels in Puerto Vallarta. All along Francisco Medina Ascencio Avenue—stretching from the Puerto Vallarta Maritime Terminal in the north to the Sheraton Bugamvilias Resort in the south—you can find some of the nicest hotels in Mexico. The Zona Hotelera was created in the middle of the 20th Century to allow El Centro to remain relatively untouched architecturally, thus preserving the cobbled streets and heritage sites that Puerto Vallarta is famous for. 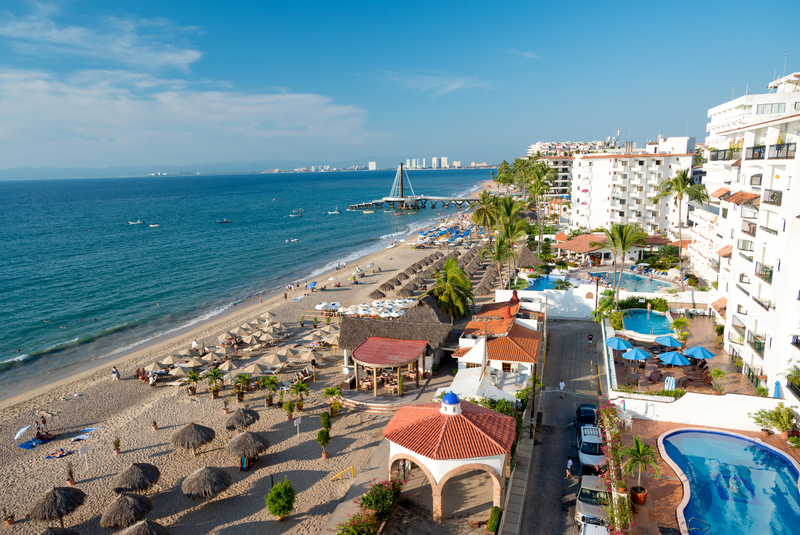 All along these neighborhoods in Puerto Vallarta, historic hotels offer stunning ocean views over Banderas Bay. Several high-rise luxury condos have built up in this area as well, only increasing the population of expats in the Zona Hotelera. The Zona Hotelera is famously loved by joggers who often start at the River Walk and run along the many beaches, or to follow Medina Ascencio until it runs into the Agustin Flores Municipal Sports Stadium where they can lift weights or run the track for a bit. Not only does the Zona Hotelera have everything you would expect from a hotel zone such as several shopping centers, bars, nightclubs, and restaurants, it also has theaters, hospitals, and even a Skydiving Center so you can explore Puerto Vallarta from a bird’s eye view. A small district situated between the Zona Hotelera and El Centro is the Puerto Vallarta neighborhood of 5 de Diciembre. 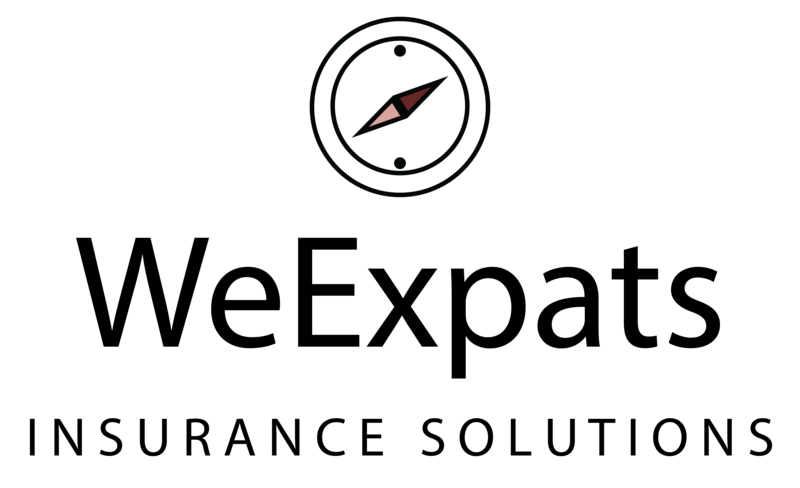 This area is located where the flats of El Centro and the shores of Playa Camarones to where they begin to ascend in elevation. The neighborhood maintains the cobbled Old-World architecture to which Puerto Vallarta is famous for, and the heights boast some of the best views in all of Puerto Vallarta. There are many theories as to why it is called 5 de Diciembre. Theories range from the Battle of the Alamo to the day that Christopher Columbus found the island of Hispaniola. However, these dates are usually named after battles fought for Mexican independence or during the Mexican Revolution. However, of all the theories as to why 5 de Diciembre is named as such, the theory that rings true the most is that on 5th of December, 1838, General Santa Anna expelled the Spanish from the city of Veracruz in the Pastry War. Quieter than downtown, yet still close enough to enjoy all the sights and sounds, this is one of the most up-and-coming neighborhoods in Puerto Vallarta in which to invest. Slightly less expensive than the surrounding areas, 5 de Diciembre is a wonderful place to buy goods and souvenirs. More authentic than the Zona Hotelera, 5 de Diciembre boasts some of the best tacos in all of Puerto Vallarta—as well as having many other fantastic restaurants and bars to explore. 5 de Diciembre is also famous for its fish market which features local and fresh seafood that can make any meal a culinary delight. This area is popular with expats and locals alike, attracting a Bohemian, artsy crowd that make the area a vibrant lodestone to creatives from all around the world. This area is currently gentrifying, meaning that in the outskirts of 5 de Diciembre, you can expect to find dirt roads and tin-roofed shacks. However, in a couple of decades, this area is likely to be as developed as its surrounding areas, making it an area drawing massive attention from international investors. The Zona Romantica is one of the trendiest neighborhoods in Puerto Vallarta. This area is not only popular with tourists, but also with expats and other locals ensuring that it has a thriving scene all year round. It is known for being the artsy district that attracts loads of creatives to the cozy, cobblestone walkways. One of the main reasons for this neighborhood’s popularity occurred after the renovation of Basilio Badillo Street when the street was widened and lit up. Soon, all the businesses on Basilio Badillo Street had jumped onboard—in effect rebranding the area and stimulating the local shops and restaurants along it. During the high season, this neighborhood in Puerto Vallarta holds all manner of events, such as the Farmer’s Market in Lazaro Cardenas Park, which runs from 9:30 am – 2:00 pm—selling baked goods, artisan products, and homemade crafts. Also during the high season, in Lazaro Cardenas Park on Wednesday nights from 7:00 pm – 11:00 pm, you can check out Viva Vallarta and explore Mexican culture through its art, performances, and interactive activities. This is a great way to meet local artists and try some delicious food—which is catered by some of the nicest restaurants in Puerto Vallarta. Or on Fridays during the high season, you can explore the Southside Shuffle, which is a form of Art Walk that works its way from art galleries to boutique shops while you drink free wine, eat delicious appetizers, and enjoy some of Puerto Vallarta’s finest shopping. Don’t forget to go to the new Los Muertos Pier. Originally built of wood in the 1960s for the movie The Night of the Iguana, it has been renovated twice since that time. Now, this sleek, modern pier resembles a massive sail. The new pier has loads of charming seating, and it’s the perfect spot to spend some time with a loved one enjoying the breathtaking sights of the lights of the waterfront promenade. Another of the more prominent neighborhoods in Puerto Vallarta is Fluvial Vallarta. Sometimes only called “Fluvial”, this northern neighborhood in Puerto Vallarta has been garnering quite the attention of expats and tourists. As Banderas Bay expanded, this spurred the development of a new neighborhood in Puerto Vallarta which needed to facilitate residential expansion to accommodate the influx of tourists and expats alike. Fluvial Vallarta in its modern incarnation is less than fifteen years old. This Puerto Vallarta neighborhood is still under development, with construction on new commercial complexes containing mega-theaters, corporate chains such Starbucks and Costco, and many American chain restaurants. Due to this rapid, urban development, Fluvial Vallarta in Puerto Vallarta is attracting attention from expats and locals who are looking to settle down and purchase property inexpensively in an up-and-coming area. One of the fastest growing neighborhoods in Puerto Vallarta because expats are drawn heavily to the idyllic landscapes of the surrounding areas. Pristine, golden beaches flank a countryside laden with two major golf courses (El Tigre and Nayar Golf Club), as well as luxury condominiums, and tourist attractions. Nuevo Vallarta attracts many water sports enthusiasts in Puerto Vallarta. Whether you are into scuba diving, paddle boarding, surfing, kayaking, and even kite surfing, you’ll find people willing to rent equipment and fellow adventurers in Nuevo Vallarta. Nuevo Vallarta has two marinas: Paradise Village Marina and Nuevo Vallarta Marina, which together hold up to 500 ships. Paradise Village Marina has been recognized as the cleanest marina in all of Mexico, which has attracted wildlife like pelicans, herons, ducks, gulls, and even the occasional crocodile. If you catch the right time period, and if you are respectful, then you can observe the turtle mating season from the turtle sanctuary near Bahia del Sol Resort. Marina Vallarta is one of the fanciest neighborhoods in Puerto Vallarta. The yacht clubs and luxury condos set the tone for Marina Vallarta. This posh area is a self-contained neighborhood in Puerto Vallarta that was built in the 1980s to provide a port for cruise ships to dock—thereby stimulating tourism and spurring the local economy. It has become the model for other similar neighborhoods in Ixtapa, Los Cabos, Mazatlan, and Cancun. This area has everything you would need for a tourist visit to Puerto Vallarta, including shops, restaurants, bars, a Comercial Mexicana mega-supermarket, and a shopping center called Plaza Marina. It even has an 18-hole golf course. At the entrance to Marina Vallarta is a large whale sculpture designed by Octavio Gonzales during the 90s—which has become one of the local icons of this neighborhood in Puerto Vallarta. Rent a boat for the day at Nima Bay and then dine at the lighthouse bar at the end of Timon Street. The southern neighborhoods in Puerto Vallarta are largely jungle landscapes of higher elevation. With their cliff-side, idyllic vistas and virgin beaches, many of these neighborhoods in Puerto Vallarta have become residential hot spots for expats and other locals. As soon as the neighborhood of Emiliano Zapata gives way to zones like Alta Vista and the up-and-coming Amapas, rich beachfront villas are a common sight among these affluent neighborhoods in Puerto Vallarta. Eventually one reaches areas like Conchas Chinas which is known as the “Beverly Hills of Puerto Vallarta”. These affluent areas peppered with luxurious villas stretch for miles until one comes upon the little village of Mislamoya. Famous for being the site of the filming of The Night of the Iguana, this quaint fishing village is famous for having calm waves which are so atypical along the Pacific. These mild waters not only attract tourists and expats, but also a myriad of wildlife, which is why the village lends itself to fishing—as well as swimming, wading, and of course relaxing.